Ray-Ban Wayfarer sunglasses were available in 1953 for the first time, and since then, they’ve become the best-selling design of sunglasses in history. Wayfarer design meant a breaking-off with the traditional metallic frames from the past. Thanks to the film industry, these sunglasses enjoyed great popularity in western culture, mainly during the 60s, thanks to celebrities such as pop star Michael Jackson, among others, who showed off the model in many of his concerts and video clips, raising it to the category of symbol of pop culture. 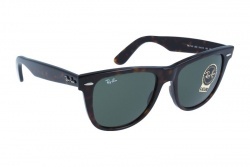 Despite the fact that Wayfarer model’s sales started to go down during the 70s, a profitable agreement signed in 1982 to advertise the model on movies and TV, the emblematic model won its commercial interest back. Nowadays the Brand has developed new versions of the original design, such us the New Wayfarer (RB2131) line. 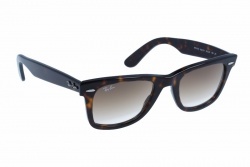 Currently, the company manufactures the Wayfarer frame in a wide range of colours and styles, turning it into one of the most timeless designs of the brand, and at the same time, making it possible to add changes to the original design gradually. 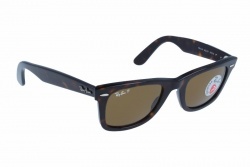 In the late 2000s, there was a revival of the Wayfarer model. In fact the brand announced that Spring/Summer 2007 collection would include the Wayfarer model (RB2140) again, just like it was conceived in 1953, keeping all its original features such as shape, size and symbol. 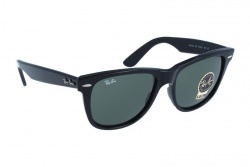 Since then, year after year, Wayfarer model has been present in all season campaigns from Ray-Ban. At Optical H we have plenty of Wayfarer models with different frame and lens colours, including flashy mirrored lenses.